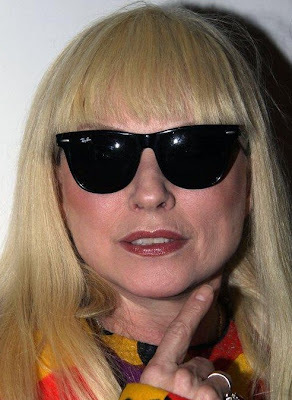 Anylift, I did a little research and discovered these photos of Debbie Harry at “The Stephen Sprouse Book” launch party at the Atelier in New York City last night. I’m not sure if she got a face lift or just lost some weight…..one may never know. All I know is that every time I hear the song “Heart of Glass” I want an anvil to drop on my head.